Democrats had hoped to launch the budget debate on Capitol Hill this week with a focus on their priorities: cleaner energy, healthcare reform, and education. Instead, they’re embroiled in a game-changing debate with Republicans over whether government – the White House, Congress, the bureaucracy, even the Federal Reserve – has what it takes to manage the financial crisis. Between the AIG bonus debacle and prospects for $1 trillion annual deficits into the next decade, the likelihood is fading that President Obama’s first budget will survive with its key elements intact. The historic deficit numbers, in particular, make a tough sell on the budget even tougher, though some Democratic lawmakers say it’s not out of reach. “The reality is we are going to have to make adjustments to the president’s budget if we want to keep the deficit on a downward trajectory,” said Sen. Kent Conrad (D) of North Dakota in a statement Friday, after the Congressional Budget Office (CBO) released projections showing federal red ink would total $9.4 trillion over a decade. Sen. Charles Grassley of Iowa, the top Republican on the Senate Finance Committee, was more blunt. How much the government should do to try to buttress the weak financial system and spur a flagging economy is the germane question before Congress – and the news from last week may serve to point out the limits of government oversight and financial acumen to date. How Much Debt Can The Nation Afford? Congressional Republicans on Sunday predicted a doomsday scenario of crushing debt and eventual federal bankruptcy if President Barack Obama’s massive spending blueprint wins passage. But a White House adviser dismissed the negative assessments, saying she is “incredibly confident” that the president’s policies will “do the job” for the economy. White House Council of Economic Advisers chairwoman Christina Romer insisted that the nation’s flailing economy will be rebounding by 2010. Administration officials — and the president himself — have taken a cheerier tone despite economic indicators that are anything but positive. “I have every expectation, as do private forecasters, that we will bottom out this year and actually be growing again by the end of the year,” Romer said. The president, in an interview that aired Sunday on CBS News’ “60 Minutes,” talked about the need to spend taxpayer money to save financial firms and the auto industry. “I just want to say that the only thing less popular than putting money into banks is putting money into the auto industry,” Obama said with a laugh. Interviewer Steve Kroft asked how that laughter might be perceived, given the economy’s troubles. Instead, Obama’s administration has been prescribing all sorts of multibillion-dollar borrowing remedies without any consistent diagnosis of what is exactly wrong with the weak economy or even how bad things actually are. What happened to living through hard times akin to the Great Depression? Maybe it was the unexpected news that Citibank and Bank of America are starting to show a profit – thanks to the past bailouts of 2008 and new profitable loans. Maybe it was General Motors’ recent decision not to (for now) ask for more federal cash. Maybe it was the reports that consumer spending is not down as much as feared. Or did Mr. Obama’s change in rhetoric reflect a sort of premeditated strategy: talk down the economy to scare everyone into supporting more government spending and borrowing. Then, once the stimulus bill has passed, talk up the economy to reassure us that it will work? Or, as seems more likely, does the new government simply not know what is going on – much less what to do about it? It can’t seem to fill slots at the Treasury Department, and strangely talks about fiscal responsibility and the evils of pork-barrel spending while expanding upon the Bush budget deficit and approving more than 8,000 earmarks. Mr. Obama – and Congress – should take a deep breath before further expanding the budget with ever-more stimulus spending, borrowing and aggregate debt that will plague our children, who will have to pay back the trillions long after this present recession ends. If President Barack Obama wants to boost confidence in his economic recovery plan, he’s going to have to assure the markets that there isn’t just one guy working on it. Treasury Secretary Timothy Geithner is trying to stabilize the nation’s banking industry, implement a housing rescue plan and prop up a plunging stock market – all with about 18 vacant senior positions, virtually the entire upper echelon of his department. The staff is so faceless that lobbyists have begun trading jokes about a “ghost” bureaucracy, given the many empty picture frames hanging on the department’s walls. Administration officials told POLITICO they will soon submit to the Senate a slate of candidates for the posts, including replacements for two who bowed out Thursday, one of whom was Geithner’s pick for his top deputy. Most of the people who have been tapped to fill the top positions are already working in the building; they just don’t have their titles, their offices and their portraits yet. But without those particulars, Geithner’s quiet colleagues can’t publicly represent the administration, robbing Obama of the opportunity to work multiple media outlets to pitch the program or to flood Capitol Hill with a show of force – and action – that could impress lawmakers, investors and the public. The United States Senate came to its senses Thursday and refused a $410 billion measure that would have funded U.S. government operations until the end of this fiscal year in September. The “omnibus” bill, containing some 9,000 “earmarks” that critics call pork-laden, could not get enough votes in the Senate to pass. This means a special continuing resolution will have to be passed today to keep the U.S. government operating at last year’s levels. The omnibus will be considered again starting Monday. Add in a revolution in the energy sector, “cap and trade,” new taxes, and a tanking stock market and well, maybe the Senate is waking up…. We note that the New York Times blamed the lack of a vote on the omnibus on Republicans in their headline and first paragraph; admitting later that Republicans are joined by some Democrats who oppose this bill…..
We can learn simple truths from the way the mob or Mafia view things. That is probably why Las Vegas Mayor Oscar Goodman proposed a $60 million mob museum be included in the Obama stimulus plan. School economics is one thing. Street economics is sometimes the same and sometimes different. The New President and the Congress are now talking about the biggest “rescue” or “stimulus” or “bailout” of the economy in the history of the world. The deal is financed by “government spending” which is really borrowed money which is debt. Or we just print more money which means inflation and the money is worthless. Now President-elect Barack Obama has proposed a stimulus bill expected to total at least 775 billion dollars that he has acknowledged would drive the US deficit significantly higher — and require financing from overseas. Actually, as David Gregory said on NBC’s “Meet the Press” on Sunday, the total “bailout” is going to be $2 Trillion from late 2008 until the end of 2009. And China has already signaled that is may slow the rate of funding U.S. debt, stimulus, rescue and other shenanigans by any name. Why? China wants to solve its own economic problems first and China is starting to doubt that American can repay. Why? To repay the debt, the average U.S. worker, at some time in the future, will have to earn a lot more and pay a lot more in taxes. The tax debt per family will exceed $20,000. But what will Americans DO to earn more? Make cars at GM? Hardly. About 70% of our American economy is consumer spending. So we tax store clerks more? So China will own the U.S.
Or break our legs. Or balls. Someday, maybe, America will have to make a concession. Give up some oil? A chunk of land? Taiwan? Guam? Something we really think is important…. Can The U.S. Pay Back This Huge Debt? Will China Play By Global Rules? Maybe Not…. Addressing these assets was the original purpose of the Troubled Asset Relief Program, the formal name of the $700 billion bailout plan the Bush administration unveiled as the credit crunch spun out of control. It was later abandoned in favor of taking equity stakes in banks, which was seen as a more direct and rapid way to help. But as the economy worsens and banks continue to rack up multi-billion dollar losses, the incoming Obama administration will face tough choices in deciding what to do with the $350 billion remaining in the bailout plan. There are many who want a piece of the pie, and there may not be enough money to go around. One critic of the stimulus is Rep. Jerry Lewis from California. The spending plan would add to the $1.2 trillion deficit the government was already projected to run this year. 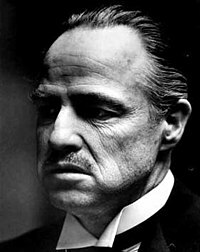 Marlon Brando as Don Vito Corleone, the Godfather. Some conservative economists say the additional stimulus might only prolong the grief at best, triggering runaway inflation down the road and resulting in an even more bloated bureaucracy. Early 20th-century British economist John Maynard Keynes argued that government should intervene to avoid depressions by increasing its spending and controlling interest rates. President Franklin D. Roosevelt based many of his New Deal spending initiatives on Keynesian theory. The skeptics offer this as Exhibit A: The trillions hurled at the problem last year by Congress, the Bush administration and the Federal Reserve have yet to yield many tangible results. In short order last week, Congress cleared the way for a new $350 billion installment of bailout cash for the financial industry while House Democrats rolled out details of a $825 billion two-year stimulus package. Allen Sinai, the president of Decision Economics, a financial consulting firm, said even with Mr. Obama’s aggressive spending program, the economy seems unlikely to show a true recovery this year in terms of sustainable gains by consumers and businesses. “There are forces going on that are 1930s-like,” he said. “There is incredible asset deflation, a huge loss in wealth by households. In the ’30s, even when funds became available from the financial system to borrow, the pessimism by consumers and businesses was so great that no one wanted to spend.” He wouldn’t rule out a repeat of that mind-set. Some economists who are not fans of Keynesian economics or stimulus packages argue that FDR’s New Deal, highly touted today as a model for job creation, did little to spur a U.S. recovery. 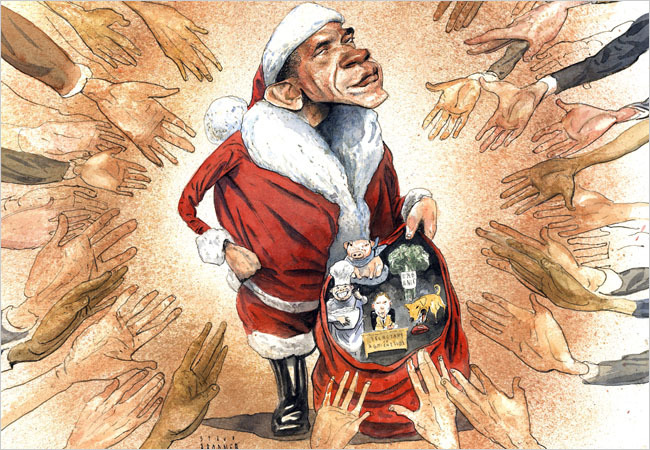 Mr. Obama shrugs off the skepticism and casts his stimulus package as the right formula for creating long-lasting, well-paying jobs, despite its big cost. You are currently browsing the archives for the GM category.